Unfortunately, the process of divorce between two adults is not always simple. If there are children involved then the issue of ongoing responsibility for child welfare such as living arrangements, education, religious orientation must be fairly accounted for between both parents. 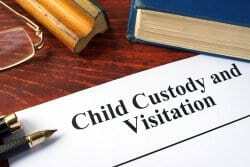 Ratcliffes have helped many clients on the Isle of Sheppey with child custody agreements for over 22 years. As one of the most trusted family law Solicitors in Sheerness and the surrounding areas, we will be with you every step of the way from forming an amicable agreement to if necessary, taking the case to court. 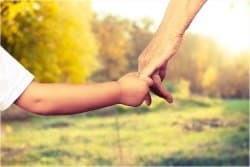 When a couple split and file for divorce, decisions on with whom the child will live with, how often they get to see the parent they don’t live with, who will have day-to-day responsibility of the child and where they will go to school etc will usually be made and agreed on by the two parents. However, sometimes it is not that simple and disagreements over such decisions can result in a failure to reach an agreement. At this stage, the case may have to be taken to court in order for a family court judge to decide. If your case is referred to the courts, it’s important to know what they will be looking at in order to mediate a decision based on the following considerations. What Kind Of Arrangement Are You Seeking? When couples split there can often be a range of complicated emotions and frustration between the two parents. Sometimes these feelings of anger, resentment and frustration can influence the gauge of demands put forward by a parent. The family court judge will ultimately be looking for corresponding evidence to substantiate whatever claim you are putting forward, for example trying to claim sole custody of a child is quite a drastic step and would only be granted if a former partner was proven to be seriously incapable of providing the safety, security and wellbeing of the child. Staking such a claim through spite against a partner who in reality is perfectly capable of providing the necessary conditions would not pass in the eyes of a judge. Who Will Guarantee The Child’s Safety? Above all, any family law judge will be looking to rule a decision that promises the best future for the child. Depending on the claim at hand there will be scrutiny into the environment that the child would grow up in and the mental and emotional stability of the parent making that claim. Financial status can be a significant factor for review especially if one parent is bargaining for complete custody. In such cases, the parent concerned will need to provide evidence that they are in a position to provide solid shelter and food and other expenses to the child. At Ratcliffes we have gained a reputation for excellence as the most highly-rated family law solicitors in Sheerness. When proving financial status, we will compile and submit all the necessary paperwork and evidence required by the court authority. The age of the child is an equally as important factor in influencing the court’s decision with regards to all kinds of custodial rights. The child’s will and preference as to who they would like to live with can be taken into account depending on how old they are. The wishes of a teenager or a maturely aged child are more likely to be based on valid experience and articulated logically than an infant in the eyes of a court. Erratic, aggressive behaviour such as angry outbursts, shouting and bad language will give the wrong impression and will quickly demolish your perceived aura as a stable and measured parent. When child custody issues reach the court, disagreements and the determination for what’s best for the child can spark some strong feelings. It is essential that you suppress outbursts and public displays of anger and conduct yourself calmly and professionally during your time in court. It is also advisable to dress accordingly in smart formal wear. Need advice on custodial matters? Ratcliffes are the most experienced family law solicitors in Sheerness & the Isle of Sheppey. We provide fixed-fee appointments. call us on 01795 857907 or contact us online. Laurence is a content writer and marketing manager for Ratcliffes. He helps publish regular content and insights for customers and industry personnel. Ratcliffes Solicitors is located in Sittingbourne and provides legal advice in a range of areas to clients in Gillingham, Faversham, Maidstone, Canterbury, Aylesford, Dartford, Sheerness, Medway, Swale, the Isle of Sheppey and throughout Kent. Business Development Solutions by FindLaw, a Thomson Reuters business. Ratcliffes Solicitors is authorised and regulated by the Solicitors Regulation Authority. SRA number: 00301782.